a subsidiary of Helijet International Inc.
*Please note: donation requests for Helijet are not accepted on the above Pacific Heliport contacts. Visit Helijet Community Support for information on how to submit your request. In our ongoing mission to maintain the highest safety and operating standards of heliports in Canada, Pacific Heliport Services aims to provide a level of service exceeding our customers expectations. Operations after hours without prior written approval is not permitted. If operations are conducted they will be completely at the operators’ own risk. Fees are as per Vancouver Harbour (Public) Heliport Tariff Schedule. dated July 1, 2008. The following rates are subject to change and do not include applicable taxes. Itinerant (non-scheduled) use (landing, parking, fueling) by prior permission only. Scheduled use by Facility Use Agreement with Pacific Heliport Services Ltd.
Tariffs based on less than 100 landings per month. Fueling available with prior permission or emergency basis only. Itinerant aircraft may have to wait for fuel as scheduled service requirements take precedence. Fuel available to itinerant aircraft is dependent upon the storage levels and needs of the scheduled service. Itinerant aircraft should be aware that due to the above reasons they might only receive enough fuel to reach Victoria International Airport for full refuelling. Passenger Lounge offering complimentary coffee, tea & snacks, telephones, newspapers, televisions, business workstations & wireless internet access. Helijet Passenger Service and Ramp Service agents are available to assist passengers and pilots. Various ground transportation options are available. Parking for the Victoria Heliport is available in the adjacent Robbins Parking lot (#214) for $8.00/24 hrs, $3.00/12 hrs or $1.00/hr. Note: lot is patrolled by Robbins Parking on a regular basis. Parking fines apply for, cars not parked in Helijet designated spots, and expired tickets. Secure gated vehicle parking is available for $18.00/day or $3.00/hour (payable at the Helijet Ticket Counter). 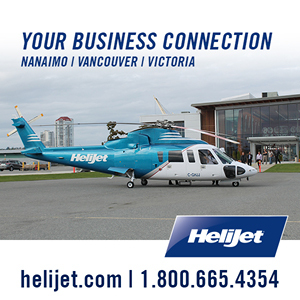 Complimentary parking (maximum 7 days) is included with the purchase of a confirmed Helijet ticket. Vehicles must be registered at check-in, unregistered vehicles may be towed. Fees are as per Vancouver Harbour (Public) Heliport Tariff Schedule dated July 1, 2008. Tariffs based on less than 100 landings/month. Discounts may apply for more than 100 landings. NOTICE: Pacific Heliport Services Ltd. (PHS) has completed a $350,000 infrastructure upgrade at the Vancouver Harbour Heliport. 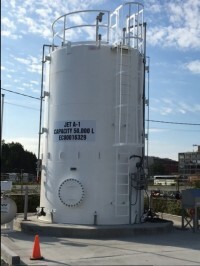 A new 50,000 litre above ground Jet A refuelling storage system was completed and operational by August 01, 2016. The new re-fuelling system replaced the pervious 45,000 litre underground storage facility and meets the latest National Environmental Safety standards and codes. The project commenced in November of 2015, with appropriate government permits applied and secured so as to satisfy all Municipal, Provincial and National regulatory offices, inclusive of Port Metro Vancouver, the Heliport Landlord. The new system incorporates an epoxy lined-double walled vertical storage tank, offering less footprint on the property. The system includes reinforced concrete truck off-loading apron with Oil/Water separator and catch basin, overfill protection and spill containment, and numerous upgrades to piping, associated plumbing and electrical requirements. The entire Project is financed by Pacific Heliport Services Ltd.
Nanaimo Harbour Heliport is a private use facility, therefore prior permission is required for landing. Requests will be accommodated on a space available basis. Operations after hours are not permitted. Food and beverage services and complimentary parking (maximum 7 days) is included with the purchase of a confirmed Helijet ticket. To qualify, park in marked Helijet spots and register your vehicle at the terminal check-in, unregistered vehicles may be towed.